Tis the season' To be invited to all these awesome christmas parties and stress about what to wear.... Sound familiar? Well I know for some it will. It's the christmas season, all about joy, love, spreading happiness and so much more but it's also the season of PARTIES! That's right, parties, alcohol, food, dancing and more. Why is it that it all seems to be totally figure hugging? is it just me who finds this annoying? First up is this totally beautiful outfit that is my faviourite from the bunch as it would compliment my shape perfectly and I LOVE this colour. 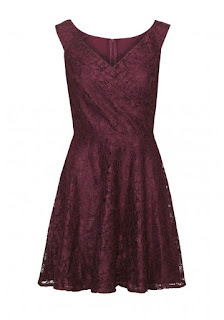 This Sistaglam dress is by Lipstick Boutique and I found it at Littleblackdress.co.uk for £65.00, It is a little pricey but I would pay this as it's perfect for me. I am a size 12 so I think it would be very flattering as it comes in at the waist (I love that as my waist is my smallest part at 27" ;) This I am proud of!) And then it flares out a little to cover my mummy tummy. It's also low cut enough to show off my collar bones plus a little bit of chest but not too much. I find If I cover my chest too much I look much bigger than I actually am so I prefer a v cut neck line. For me the detailing of the dress is BEAUTIFUL! which you can see better in the picture below. 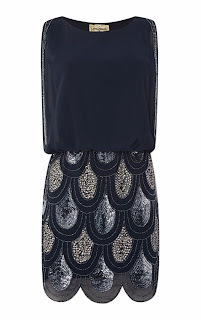 I paired this dress with some beautiful black tie up heels from New Look although I think most black heels would look beautiful with this dress. Next up I wanted to choose an outfit that had some sparkle added to it but is also quite simple at the same time. For me this dress is perfect for a night out at christmas, It's sparkly with some bling and plain on top so there isn't TOO much on it that some dresses tend to have plus it looks like a two piece which makes it quite interesting to me. This lovely Lace and beads embellished dress from Lipsy comes in at £65. It's a little pricey but if I knew I was going to get good use out of it I would probably pay it. I decided to pair this dress with some Navy suede block heels from New look, I love new look heels! they are comfy, not too high, easy to walk in and last for ever! Plus these are a perfect colour to go with this dress, I mean look at that colour pairing! I wanted to stay away from black heels with this one so I went for a matching colour although I do think that Silver or grey heels would work as well. Everyone loves a black dress... Well I do anyway. I am such a sucker for all black outfits... Maybe because I can jazz it up with a beautiful pastel bag, some bold tights or some bright makeup but keep it looking classy and sleek at the same time makes me love it. I feel my most confident in black clothing and some great black heels so for me this pairing of the two is brilliant for me. I can just imagine some beautiful red lips, red toe nails and a beautiful red bag to ties it all together for a nice night out with my girls this christmas. I like that this dress comes with longer sleeves as sometimes I can be self conscious of my arms and like to cover this up, this dress gives me that extra bonus. Like the first dress it is a v neck cut and that's my faviourite. 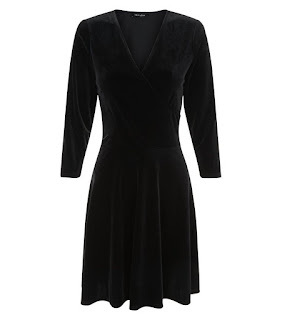 It may be a velvet dress which can be a bit of a hit and miss for some but I think it adds that bit of uniqueness to it. As I am a new look addict I just had to choose a dress from them so that's where this baby comes from, it is £19.99 which is a great price for party wear and again the heels are from new look... no surprise there then haha. 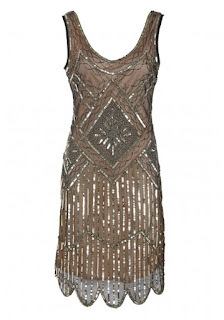 Last but by no means least is this absolutely stunning dress that I found on Littleblackdress.com which is quite apporpriatly names "GatsbyLady" I am a very very big fan of the 20's style and a huge fan of The Great Gatsby so I just HAD to include this dress in my party wear post. I probably wouldn't personally wear this as I don't think it would suit my figure very well but I am sure that there is someone out there who would love this style for a christmas party. It's got just the right amount of flare to make a statement and I would never forget this dress or the person who was wearing it if I seen it. At £75.00 this is rather expensive this dress and I probably wouldn't buy it for that reason also but I do think it's a great find of a dress! It's a lovely style that can add some sparkle and wow to your life. I paired this dress up with some beautiful pink velvet heels from new look as I think they would go quite nice with the colour scheme of this dress plus a little diluted bink clutch. So that's some of my top picks for this party season. I have thrown in a mix of colours and styles for a nice well rounded range of dresses. I would probably have liked to find a long dress to include but I didn't find any that I particularly liked *BOOOOO* But I'll keep looking. I have noticed that there are so many different styles and colours out for this season and it's brilliant to see although I have seen far too many bodycon dresses or sequin dresses... personally they aren't for me, I can't wear them and feel confident but I do think there are some beautiful ones out there for those of you who do like to wear them! I hope that what ever you do party wise, even if it's having a party for one in your room with some wine and christmas movies (I tend to do this hahah) that you have a great time and find something that makes you feel like a boss to wear. Do you have christmas parties coming up? What's your go to colour? Love the different pieces! 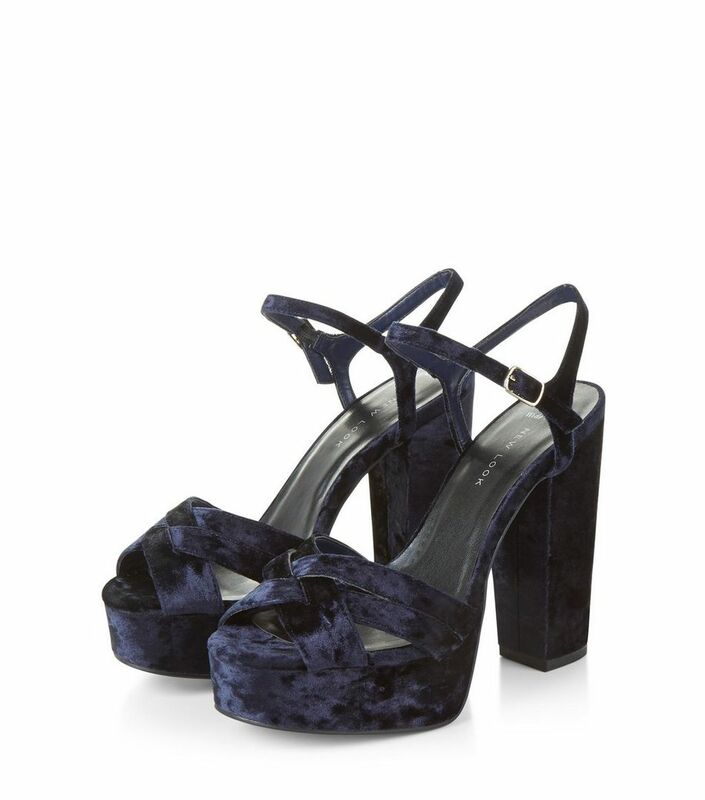 I also love how velvet is in fashion right now, it's so pretty. the fourth suit is my favorite, Gatsby themed party.